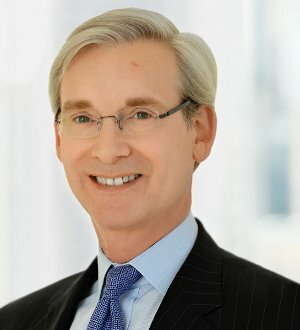 Ivan A. Schlager is a partner in the Washington, D.C. office of Skadden and head of the firm’s CFIUS, National Security and Cross-Border Transactions practice. He represents a diverse group of clients ranging from defense companies, major telecommunication providers, and media and technology companies to private equity firms and companies in the financial services, manufacturing and health care industries. Mr. Schlager provides counsel on structuring, negotiating and documenting transactions to address regulatory issues including approval by the Committee on Foreign Investment in the United States (CFIUS). He also has assisted in the development of successful regulatory and legislative strategies for a number of major M&A transactions. Mr. Schlager has significant experience in navigating Exon/Florio reviews before CFIUS and negotiating national security agreements. He also assists clients with industrial security (including mitigation of foreign ownership, control or influence (FOCI)), export control and government contracting issues. Mr. Schlager represented Alcatel in its merger-of-equals with Lucent Technologies Inc. This merger was one of the largest and most complex Exon/Florio cases filed with CFIUS. He led the Skadden team that negotiated a landmark national security agreement and a special security agreement covering certain government business conducted by Bell Labs. Other landmark reviews included representing Toshiba Corporation in its acquisition of Westinghouse Electric Company LLC, and the sale of a minority stake to Kazatomprom. The Toshiba and Alcatel transactions were two of the largest deals approved by CFIUS in the post-Dubai Ports era. Mr. Schlager represented Dubai Aerospace Enterprise Ltd. in two major acquisitions of aviation properties owned by The Carlyle Group: Arizona-based Piedmont/Hawthorne Holdings, Inc. for $766 million and Standard Aero Acquisition Holdings, Inc. for $1 billion. He also successfully represented DRS Technologies, Inc.in its acquisition by Finmeccanica S.p.A. and L-1 Identity Solutions, Inc. in its acquisition by Safran SA. In connection with the acquisition, L-1 sold its intelligence services businesses to BAE Systems, Inc. The NASDAQ Stock Market, Inc. in its $1.6 billion sale of a 28 percent stake in the London Stock Exchange Group plc to Borse Dubai Limited. Mr. Schlager also has represented several media and telecommunications companies, including Univision Communications Inc. in its $13.5 billion sale to a consortium of private equity investors and Quadrangle Group LLC in its acquisition of Hargray Communications Group, Inc. He also represented News Corporation in its acquisition of interest in DIRECTV and in its acquisition of Dow Jones & Company. Mr. Schlager has represented a number of companies in high-profile congressional investigations and crisis management situations, including Chiron (Novartis Vaccines and Diagnostics, Inc.), Transocean Inc. and Affinity Direct. He represented Fox Broadcasting Company and Metro-Goldwyn-Mayer Studios Inc. in connection with an investigation by the Federal Trade Commission and the Senate Commerce Committee, Bear, Stearns & Co., Inc. in its sale to J.P. Morgan and a major financial institution in testimony related to the TARP Program. Prior to joining Skadden, Mr. Schlager served as the Democratic chief counsel and staff director to the U.S. Senate Committee on Commerce, Science and Transportation, where he was responsible for supervising the professional staff of seven subcommittees, as well as devising the Democrats’ legislative strategy for the full committee. In this role, Mr. Schlager worked in a bipartisan fashion on implementation of Exon/Florio; implementation of the Telecommunications Act of 1996; legislative proposals to enhance the deployment of broadband technology; the WTO Telecommunications Agreement/WTO implementing legislation; and NAFTA. Mr. Schlager was a senior adviser to Sen. John F. Kerry (D-Mass.) in the 2004 presidential campaign. Mr. Schlager also serves on the board of visitors of the Weinberg College of Arts and Sciences at Northwestern University. Mr. Schlager repeatedly has been selected for inclusion in Chambers Global: The World’s Leading Lawyers for Business and Chambers USA: America’s Leading Lawyers for Business. He also was named by Washingtonian Magazine as a leading lawyer for national security and is listed in the Legal 500 and The Best Lawyers in America. He has received a Burton Award for legal writing, one of the highest literary honors in law.